How to Start, Build, and Run a Successful Physician Life Care Planning Practice, February 6-7, 2020, Clearwater Beach, FL - SEAK, Inc.
Life care planning is a highly lucrative endeavor which can supplement or replace your clinical income. Life care planning can be performed by physicians, nurses, psychologists and other healthcare professionals. More and more, however, life care planning is being performed by physicians who are often preferred by attorneys. Serving as a physician life care planner typically consists of assisting plaintiff or defense lawyers by documenting the needs of an injured person and opining on the costs required to meet these needs over the course of the injured litigant’s lifetime. Physician life care planning assignments are labor intensive and often result in total fees in the five figure range billed at $300-$600 or more per hour. Best of all, physician life care planning does not require an active clinical practice, does not involve testifying against other physicians on the issue of standard of care, and most work can be done from a home office. Attendees should be able to start serving as a life care planner after completion of this course. This unique and all new course will not be offered again in 2019. Steven Babitsky, Esq.,is the President and founder of SEAK, Inc., the Expert Witness Training Company. He was a personal injury trial attorney for twenty years and is the former managing partner of the firm Kistin, Babitsky, Latimer & Beitman. Mr. Babitsky has extensive experience training life care planners and preparing them to testify. Mr. Babitsky is the co-author of the texts How to Be a Successful Expert Witness: SEAK’s A-Z Guide to Expert Witnessing, How to Write An Expert Witness Report and How to Be an Effective Expert Witness at Deposition and Trial: The SEAK Guide to Testifying as an Expert Witness. 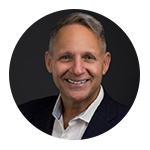 Attorney Babitsky is the co developer and trainer for the “How to Be an Effective Expert Witness” seminar and has been the seminar leader since 1990 for the Annual National Expert Witness Conference. 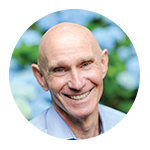 Mr. Babitsky trains hundreds of experts every year. He may be contacted at 508-548-9443 or stevenbabitsky@seak.com. Santo Steven BiFulco, MD, CLCPis an interventional pain management physician, board certified life care planner, and expert witness. Dr. BiFulco’s professional associations include the American Academy of Physical Medicine & Rehabilitation, the American Medical Association, the National Association of Disability Evaluating Professionals, the International Association for Rehabilitation Professionals, the Society for Pain & Practice Management, International Association of Rehabilitation Professionals, & The International Symposium of Life Care Planning & others. Dr. BiFulco is a Certified Diplomate of the National Board of Medical Examiners and of the Center for Advanced Medicine & Clinical Research. Hector Miranda, MD, CLCPis a certified life care planner. He graduated from the Puerto Rico School of Medicine in 2007. He then completed his Physical Medicine & Rehabilitation (PM&R) residency at the University of Miami Miller School of Medicine/Jackson Memorial Hospital in 2011, where he served as chief resident. He completed his Pain Medicine fellowship at Beth Israel Medical Center in New York City in 2012. He is board certified in PM&R, Pain Medicine, and Brain Injury Medicine. 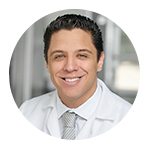 He is currently the medical director of Medical Injury Rehabilitation Specialists in Austin, TX. Q. How much money can I make performing life care plans? A. Physician life care planners can make $5,000-$15,000 per plan. Many physician life care planners earn over $100,000 per year doing these plans. Q. What specialties can do this work? A. Life care planning has typically been performed by nurses and even non-medical professionals such as vocational experts. As such, all physician specialties can do this work. Some specialties will however be more attractive to a certain client depending on the medical issues at hand. For example, a neurologist for a brain injury, a GI physician for a colostomy, a psychiatrist for emotional trauma, a rehab physician for paralysis, etc. Q. Do I need an active medical practice and board certification? A. No. One of the advantages of life care planning is that physicians who are retired or not in active clinical practice can still perform life care plans. Q. Why is the work so lucrative? A. Typically, life care plans are requested on cases with serious injuries. Life care planners most often charge by the hour. Preparing a well-supported and well-documented and defensible life care plan is often very time consuming. Q. Why wouldn’t a lawyer just hire a nurse or vocational expert to do this work at a lower hourly rate? A. The cases where life care planners are involved are often very serious or catastrophic. Given this fact, many lawyers are willing to pay a premium for the added credibility of a physician life care planner. Q. What are the startup and overhead costs? A. These are generally small to negligible. Q. What are the liability risks? A. Generally far less than practicing clinical medicine. Q. Will I need to testify? A. Potentially, yes, as life care planning is a subset of expert witness work. You will, however, be opining as a life care planner on necessity of future needs/care and their costs. Unlike a medical malpractice case, you will typically not be commenting on quality of care provided by another physician. Q.What are the keys to success and building a lucrative physician life care planning practice? A. Learning how to do the work at a very high level, being responsive and easy to deal with and then gaining repeat and word of mouth business. Faculty will introduce themselves and explain the need for life care plans and how they are used by plaintiff and defense attorneys. An overview of the life care planning process previewing the typical tasks of a life care planner will be provided. Questions and Answers. A credible life care plan needs to be built on a solid foundation. Attendees will learn the types of medical, vocational, rehabilitation, psychological, and collateral information they need to assemble to develop an accurate and defensible life care plan. The faculty will present best practices for accumulating, reviewing, analyzing and digesting these records. Questions and Answers. A proper interview and examination is required to form a solid foundation for your life care plan. Faculty will demonstrate with examples of best practices for determining and documenting the functional abilities and limitations of the client including ability to dress, bath, mobility, feeding, communicate, partake in recreation, work and other activities of daily living. Traps for the unwary will be emphasized. Questions and Answers. Faculty will provide guidance on how to establish the need for and frequency of future medical and mental health services, diagnostic testing, medication, inpatient care, and surgical procedures. Included will be a discussion of what you can recommend yourself when you need to communicate with other providers and items. Questions and Answers. Faculty will provide guidance on how to identify the need and research/cost out the need for assistive technology and adaptive devices such as lifts, specialty beds, modified vehicles, braces, orthotics, prosthetics, wheelchairs, etc. Included will be a discussion of how to determine a reliable expected replacement time and other issues particular to assistive technology and adaptive devices. Questions and Answers. Faculty will provide guidance on how to identify the need for and cost out personal assistance, assisted living, and nursing care, both home and facility based. Common issues that arise will be discussed. Questions and Answers. Faculty will provide guidance on how to identify the need for and cost out/research architectural renovations such as ramps and widening of doorways. Common issues that arise in this area will be discussed. Questions and Answers. The injured person may require training in activities of daily living. Faculty will provide guidance on how to identify and cost out these training needs. Questions and Answers. Many injured parties may require ongoing: physician care, diagnostic tests, medications, rehabilitation services, and equipment and supplies. The faculty will discuss the life care planner’s methodology used to determine these cost projections. Questions and Answers. Life expectancy will directly impact future costs. Faculty will discuss and explain the options that life care planners have when making assumptions on life expectancy (relying on a table, relying on a customized life expectancy from another expert, and determining life expectancy yourself) and will reveal the important potential pitfalls in this area. Questions and Answers. Your written life care plan is one of your main deliverables (the other being potential testimony). The faculty will provide advice for writing a defensible and impressive life care plan that will distinguish you from your competition. Emphasis will be placed on stating: your qualifications, avoiding successful Daubert challenges, clear, understandable language, formatting and layout, the use of charts, diagrams and photographs, the proper use of templates, transparency, accuracy, missing information and data, standard language, disclaimers and carefully defining and delineating the role of the life care planner. Questions and Answers. Faculty will provide guidance on how to set and collect your fee and properly manage the relationship with retaining counsel. Advice will also be provided in how to run an efficient practice, keep yourself out of trouble and leverage yourself.Questions & Answers. Faculty will provide advice on how to establish a niche for yourself that makes best use of your medical training, specialty, and experience. Faculty will then provide suggestions for how to market to both plaintiff and defense attorneys and develop your life care planning practice. Making yourself more attractive to potential clients and the benefits of additional training and certification as a life care planner will also be discussed. Questions & Answers. Life care planners may be called upon to testify at deposition. In this segment the faculty will discuss and demonstrate with video specific lines of inquiry that the life care planner may encounter at deposition. Suggestions to deal with each of these lines of inquiry will be provided. Questions & Answers. Life care planners may be called upon to testify at trial. In this segment the faculty will discuss special techniques for life care planners to excel during direct and cross examination. Anticipated lines of challenge that can be expected during cross examination will be explained and suggestions to deal with each of these lines of challenge will be provided. Questions & Answers. Faculty will review these biggest mistakes with emphasis on avoiding the common mistakes made by others in the past. Examples will be provided. Questions & Answers. To achieve maximum results from this two-day course physician attendees, with the assistance of faculty, will discuss the takeaways from the training and develop their realistic action plan for implementation and success. Questions & Answers.